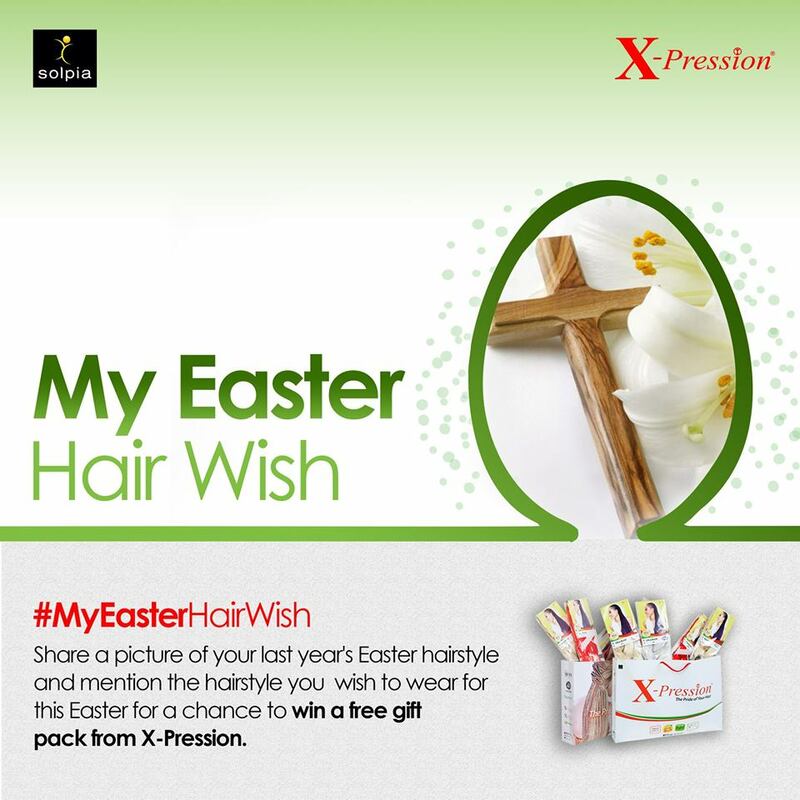 20 Gift Bags for Grabs in X-Pression #MyEasterHairWish Contest!!! Let’s roll out the drums again and celebrate Easter in grand style. Your wish might just come true as X-Pression will be giving out Easter gift packs to 20 lucky winners. 3. Please remember to use #MyEasterHairWish to make your entry valid. Entry closes on Thursday 18th April 2019.